Do you want to live on a gorgeous Caribbean island without paying a dime in taxes? As I mentioned in my article on tax-friendly second passports, one of the most important parts of your tax, business, and personal strategies is choosing where you want to actually live. You can move to Asia to make your money go further, or if you want to live in the EU, you could get a Golden Visa in Portugal. However, if you want to reduce your tax burden to zero (or close to it), your residency options are much more limited – particularly if you want to live in a country with no income tax. Becoming a resident of the Cayman Islands is therefore an interesting option for wealthy people seeking to lower their tax bills by moving to a highly livable country. The Cayman Islands is a well-known tax haven where you can establish residency without much hassle, and as a British Overseas Territory, it offers high-quality legal services, health care, and education. In this article, we’ll discuss some of the benefits of living in the Cayman Islands, how to get a Cayman Islands residence permit, and whether getting residency in the Cayman Islands could be a good solution for you. There’s a reason why getting Cayman Islands residency is so expensive – it’s worth it. With plentiful natural beauty, excellent infrastructure and legal services, a high level of tax-friendliness, and world class lifestyle options, the Cayman Islands is an excellent place to consider for your second residency. 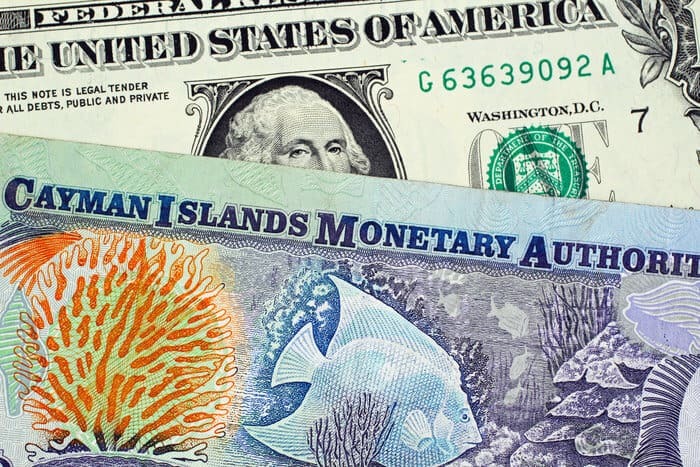 The man reason why the Cayman Islands get so much attention in offshore circles is the country’s tax-friendly policies. There’s no income tax, no property tax, and no company tax. 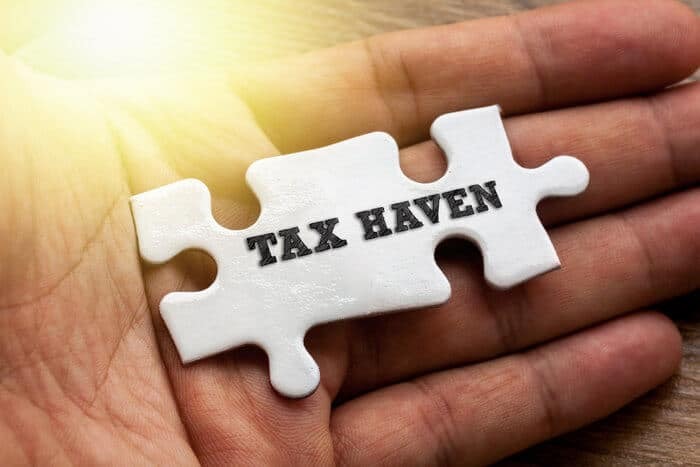 Therefore, unless you have tax obligations in other countries, you could feasibly move to the Cayman Islands and reduce your tax burden to zero. In the Cayman Islands, it’s easy to live a tax-free lifestyle. One of the most appealing aspects of the Cayman Islands is the fact that it’s one of the few countries with no taxes that also offers an excellent quality of life. The Cayman Islands is a visually stunning country with beautiful island landscapes. Its climate is warm and mild year-round, making it an ideal getaway if you want to never see winter again. Furthermore, the Cayman Islands also attracts plenty of wealthy vacationers and expats, so services on the island tend to cater to those communities. On the islands, you’ll find both essentials like high-quality private hospitals and extras like excellent local shopping and dining options. Unlike more remote islands like Vanuatu, it’s relatively easy to travel to and from the Cayman Islands. In fact, the Caymans are only an hour away from Miami by plane. 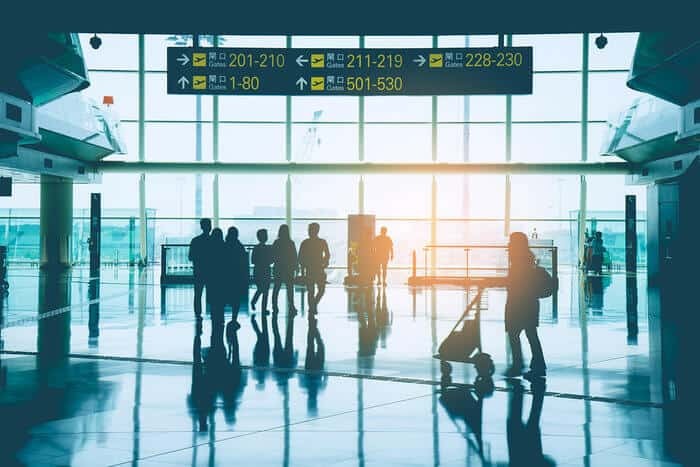 With two different international airports, getting to and from the Cayman Islands and the rest of the Americas is rather easy, so if you need to go back to the US or Canada every now and then, you won’t need to worry about long, expensive flights. As a British Overseas Territory, the Cayman Islands offer residents and citizens political, economic, and legal stability that can be difficult to find in similar jurisdictions. The Cayman Islands are highly developed and offer world-class healthcare, education, and other services. Its currency is also highly stable, and the local government takes extra care to protect its citizens’ and residents’ assets. The legal system in the Cayman Islands is also strong and stable. While things can occasionally move slowly on island time, you won’t be dealing with the kind of bureaucracy in other parts of the Caribbean or in Latin America. Combined with the Cayman Islands’ tax-friendliness, this stability has enticed a number of banks and Fortune 500 companies to establish bases there, which testifies to the Islands’ reputation as a haven for business and wealth. If moving to the Cayman Islands sounds appealing to you, then I have good news – getting Cayman Islands residency is pretty straightforward. However, while becoming a resident of the Cayman Islands isn’t too difficult, it is expensive. If you want to move there, you’ll need to be prepared to spend over $1 million – even for just a temporary permit. While getting Cayman Islands residency is certainly not cheap, it can be worthwhile for the right person. Here are a few of the most common ways to get residency by investment in the Cayman Islands. The most common way in which wealthy individuals obtain Cayman Islands residency is by applying as a person with independent means. Although this residency permit is temporary, it lasts for 25 years, and it also allows you to bring your spouse and any dependents. However, you will not be allowed to work on the island. In order to establish Cayman Islands residency as a person of independent means, then you need to prove that you have an annual income of about $150,000 derived from outside of the Cayman Islands. You must also maintain a Cayman Islands bank account with roughly $500,000 in it, and you must also invest $1,200,000 in the country if you wish to live in Grand Cayman. Of that $1,200,000, at least $610,000 must be invested in real estate. These numbers are slightly smaller if you choose to live on one of the smaller islands, such as Little Cayman and Cayman Brac. Your annual income requirement is only just above $90,000, and you only need to invest a total of $610,000 into the island. However, you must still invest 50% of that amount in real estate, and the bank deposit requirement is the same as for Grand Cayman. Although the cost is rather steep, the process for applying for a residence permit is quite easy if you meet the criteria. You’ll fill out the application and pay a fee of about $600, and if your application is approved, then you pay a $25,000 fee to issue your permit and then $1,220 per year to keep your permit active. If you’d like your second residency to be a bit more profitable, then you can also get Cayman Islands residency through a Certificate of Direct Investment. A Certificate of Direct investment is issued to a person who is willing to make a $1,200,000 investment into a business that creates local jobs and will take an active role in managing that business. In order for the business to qualify, it must prove that it hires at least 30% Caymanian employees (with some exceptions). In addition to the raw investment, applicants for a Certificate of Direct Investment must also prove that they have the business experience to successfully run their investment. Like the residency program for Persons of Independent Means, the Certificate of Direct Investment is a temporary permit that is good for 25 years, and you may include spouses and dependents on your application. Unlike the previous option, you do have a physical presence requirement to maintain a Certificate of Direct Investment – you must live in the country for at least 90 days per year. If you want to start a profitable business in the Cayman Islands, then you can obtain residency through a Certificate of Direct Investment. The process for applying for a Certificate of Direct Investment if quite simple. Once you have your investment, you can apply for your certificate, pay a $1,220 application fee, and – if you’re approved – you’ll pay a $25,000 activation fee for your residence permit. Additionally, you will need to pay an annual fee equivalent to a work permit holder in your industry, which can vary substantially, as well as an extra $1,220 fee per dependent per year. If you invest in a Cayman Islands business or are employed in senior management, then you may be eligible to apply for a Cayman Islands Residency Certificate through Substantial Business Presence. 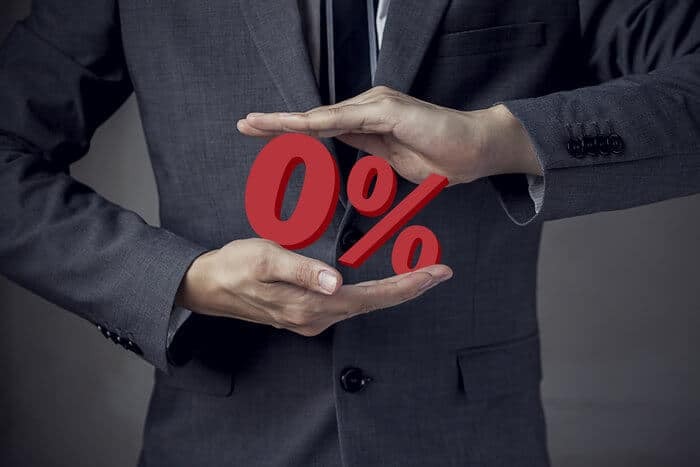 To establish a Substantial Business Presence, you must own (or propose to won) at least 10% of the shares in a business in an approved industry. These approved industries primarily include financial and legal services. Alternatively, you can also establish a Substantial Business Presence if your employer can prove that you work in a senior management position. People who meet the criteria for this certificate will receive a 25-year renewable residence permit as well as the right to work in the Cayman Islands. However, this residence permit also comes with a physical presence requirement. To qualify and maintain your permit, you must intend to reside in the Islands for at least 90 days per year. When you will out your application for your Cayman Islands Residency Certificate, you will pay a $1,220 application fee as well as a $6,100 activation fee for your residence permit. You will pay an additional $1,200 per dependent, and you will also need to pay any annual work permit fees, which vary by industry and employment capacity. If your eventual goal is to obtain Cayman Islands citizenship, then you should apply for Cayman Islands residency as a Person of Independent Means. The process for applying for permanent residency in the Cayman Islands is similar to the process for applying for a general residence permit as a person of independent means. You will need to prove that you have sufficient assets to support yourself and your dependents, and you will need to make an investment in the islands. 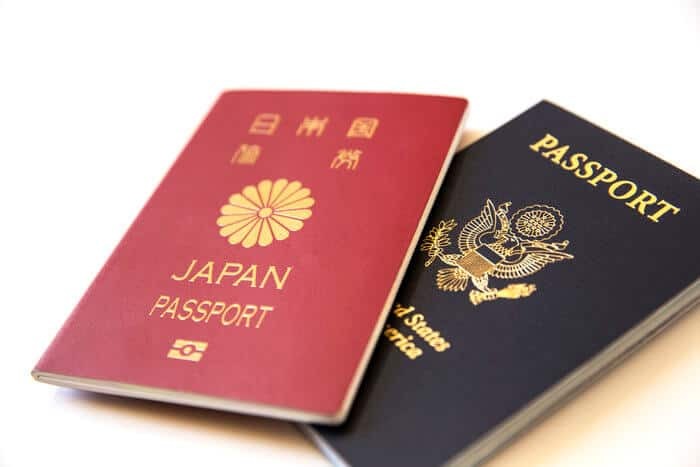 However, since applying for permanent residency also enables you and your spouse to eventually apply for citizenship, the qualifications for this residency option are much higher. The investment amount is doubled to $2,400,000, and all of it must be invested in developed real estate. Additionally, only 250 of these applications are open per year. Permanent residency also allows enables you and your spouse to potentially work in the Cayman Islands, but you may be limited to particular industries. Like other residency applications in the Cayman Islands, applying for permanent residency is fairly straightforward. If you meet the criteria, you’ll fill out the application, pay a $610 fee, and wait for approval. Once approved, you’ll pay an issue fee of $122,000, adding $1,200 for every dependent, and if you have the right to work in the Caymans, you will need to pay a variable work permit fee. Can I Get a Cayman Islands Passport? When deciding whether or not to get a second residency, one issue you should always consider is whether you will eventually be able to obtain citizenship in that county. In the Cayman Islands, you can obtain British Overseas Territories Citizenship if you acquire permanent residency first. Other qualifications include living in the Cayman Islands for the majority of the past five years, not leaving the Islands for more than 90 days at a time, and having a clean record with immigration. Therefore, if you’re willing to establish permanent residency and live in the Cayman Islands for five years, then you can become eligible to apply for citizenship by naturalization. However, if you’re in search of citizenship, then you may be better served by obtaining another Caribbean citizenship by investment, such as St. Kitts and Nevis, for substantially cheaper. In fact, you could get twenty passports from other Caribbean countries for the price of permanent residency in the Cayman Islands. Could Cayman Islands Residency Work for Me? Cayman Islands residency has a number of desirable benefits, and the process for becoming a resident is quite straightforward. However, it’s not always the best option for most people. Although the Cayman Islands is a highly livable tax haven, it’s not the best – or cheapest – second residency option for most people. The most obvious reason why many people turn down Cayman Islands residency is the price tag. Even for the six- and seven-figure entrepreneurs who I work with, a cool million or more dollars for a residence permit is a bit much – especially when prospects for major returns on your investments are low. In addition to the high cost of residency, the cost of living on the Cayman Islands is also quite high. Since most goods need to be imported, you’ll quickly find that the price tag for just about everything is higher than what you pay back home. Therefore, many of the people who I work with tend to opt for cheaper second residency options. Getting a passport on other Caribbean islands can be a tenth of the cost of Cayman Islands residency, or if you’re open to Asia or Eastern Europe, you can get second residency for less than $100,000 and save tremendously on your living expenses. If you have the means to afford Cayman Islands residency, however, then you shouldn’t entirely rule it out. 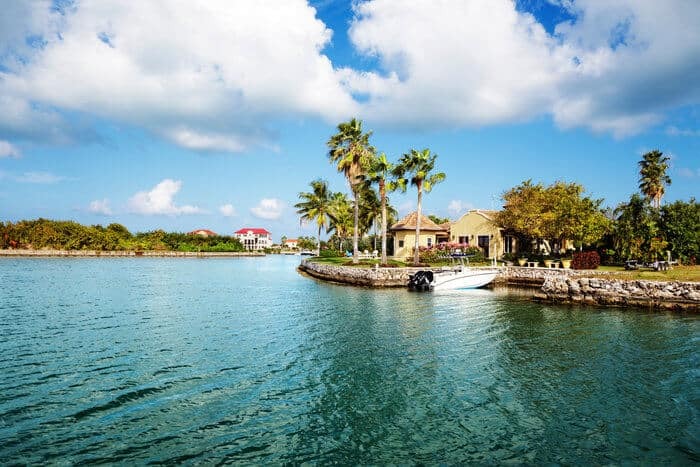 If you’re a US citizen who makes most of your money through passive investments, for example, then becoming a resident of the Cayman Islands could be an important part of a larger strategy to renounce your US citizenship and lower your tax bill. As always, whether Cayman Islands residency is a good choice for you will depend on your needs and circumstances. The island life is tempting, but there might be better choices out there.